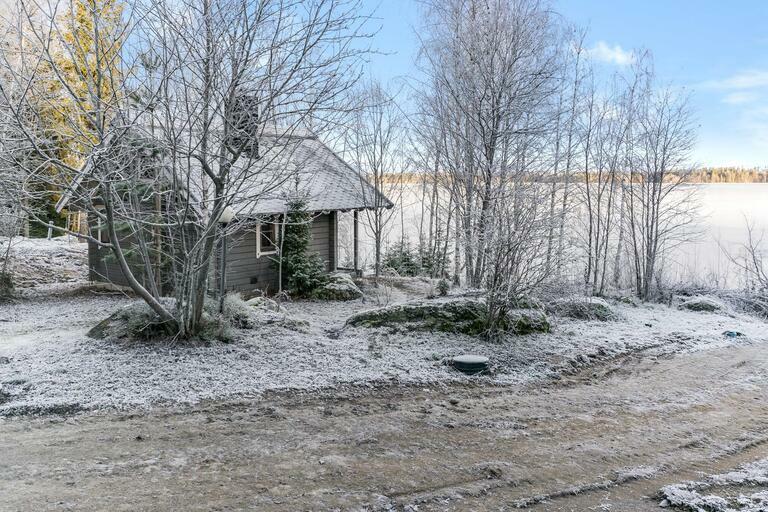 30 km to the south from Tampere / lake Pyhäjärvi 30 m, hard bottom, gently deepening, 30 m of own beach, pier, swimming ladder, rowing boat. Comfortable log paneled cabin, built in 2000, located on lakeside of Pyhäjärvi. Two-storied cabin (80 m²). There are spacious living areas on the ground floor, living room with sofa bed for two, TV, kitchen, separate WC, wood heated sauna, washroom, dishwasher, washing machine and tumble dryer. On the upper floor: 3 separate bedrooms with double beds. Child safety gate at the bottom of the stairs. Covered grill in front of the cabin. Separate lakeside cabin (20 m²) available in middle summer period (about 16.6. - 9.8. annually). 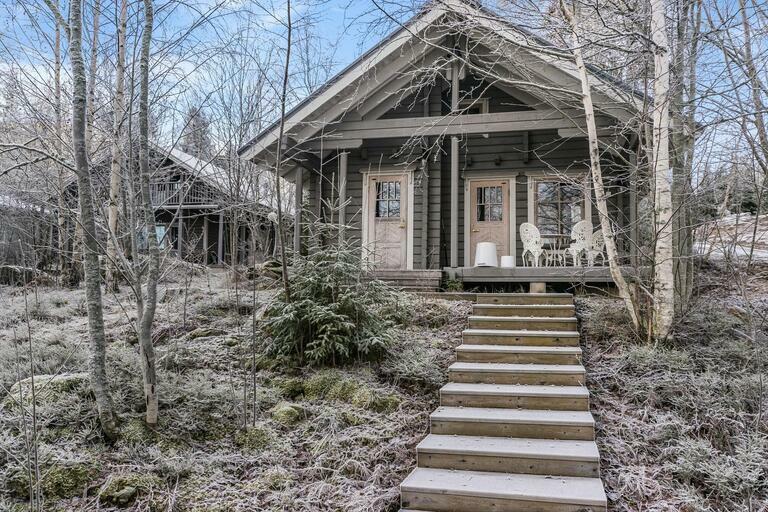 There are wood-heated sauna, living room, loft with two thick mattresses in the lakeside cabin. If you would like to rent lakeside cabin outside of middle summer, please request it directly from the owner. 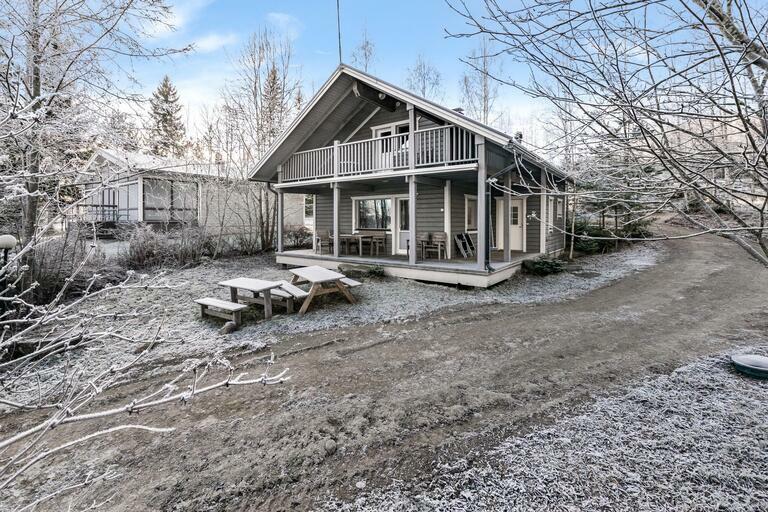 Outside of the middle summer period lakeside cabin is rented at a different price and it is not included in the price as in middle summer. The nearest neighbors are about 20 m away. 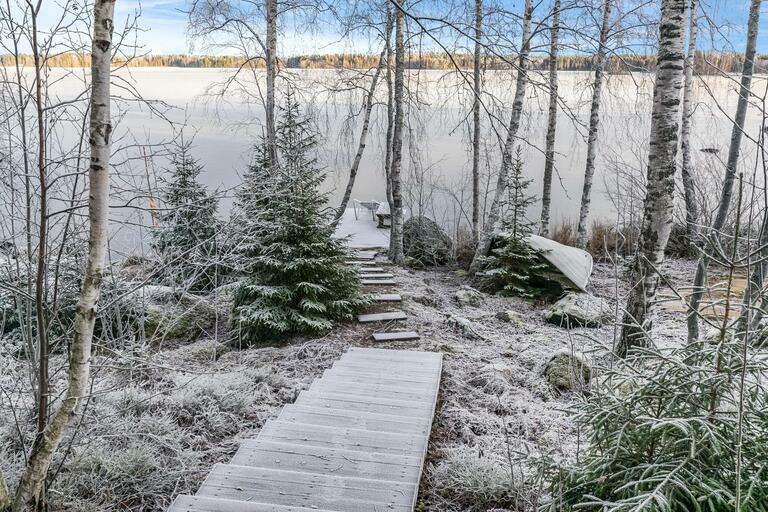 Ambient and spacious villa close to many services of Tampere, located right on the shore of lake Pyhäjärvi. Comfortable, well equipped and very spacious cabin for 8 people. Wood-heated sauna provides extra comfort for the holiday. Well kept walking path leads to the beach and pier. Three separate bedrooms in main cabin gives privacy for those who need it. Covered grill in front of the cottage provides a good starting point for grilling. Tampere 25 km, Särkänniemi 28 km, Lempäälä 5 km, Ideapark 12 km.